I ordered the taster box to try all the flavours. Cookies and cream - 8/10. The driest of the lot, but still not dry. The least flavoursome, but I'd still destroy a whole box. Birthday cake - 7/10. Not a bad bar, really gooey, but don't think I'd have called it birthday cake. Tastes more like a jammie dodger to me. Chocolate sundae - 9/10. THIS IS THE ONE. Tastes like a gooey, yummy chocolate bar. Only way I'd give it a 10 is if it was free. Lemon meringue - gave to a friend to try as I'm not a fan of lemon. But bearing in mind she's THE fussiest person I've EVER met. She's a "vegan" who will drink milk if it's in a pre made protein shakes, but only eats vegan eggs. Then may eat a Pepperami now and then but then tries to avoid lactose. Her result was "this is bangin'!!". Cookies and Cream and Chocolate Sundae are unreal. Lemon is nice too if you like lemon, (obviously!) but birthday cake didn't do it for me at all. These are so high in protein and so filling! You will not regret it.. Add a box to your basket now!! Often left disappointed by birthday cake flavour- however I was pleasantly surprised with this bar was so tasty! Would defo buy again!! Bought the tester pack of 4 which includes one of each flavour. So far I've had the birthday cake & lemon meringue flavours and they are absolutely amazing. Looking forward to trying the other two. Only downside would be that there isnt a box of 12 with all the different flavours included. 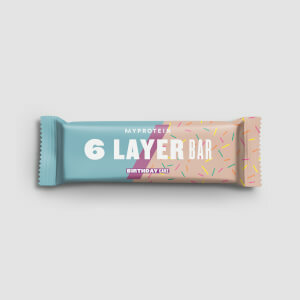 I bought the discovery bundle and tried all for of them, here's what I think: Lemon: 8/10 tastes like a regular lemon biscuit, but with a lot of protein, and much softer) Birthday cake: 10/10 oh my, you shouldn't even hesitate. It is the goat of protein bar. Chocolate sundae: 7/10, doesn't really have any taste to it? Definitely doesn't taste like chocolate, but it doesn't taste bad either. Was expecting more though. Would recommend carb crusher instead. Cookies & cream: 8.5/10 It is really good too, tastes exactly like cookies and cream, but I can see myself getting bored of this flavour. These devils are a lot bigger than you'd expect but who's complaining! There are so many textures (well six) and each make these awesome to eat. A great alternative to an afternoon chocolate bar craving and won't leave you wanting anything more. 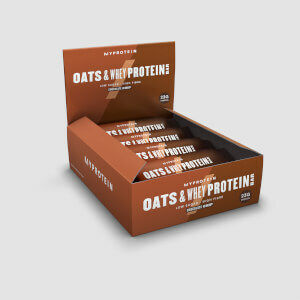 After reading all the very good reviews about this product, I tought it was the usual overating that I saw in some other Myprotein snack reviews. I ordered a sample (Chocolate Sundae) and I was amazed. The product was spot on ! Great great texture, very soft, come gooey caramel and some crunch to top it off. Not overly sweet which is pleasant, and very good taste. However you couldn't taste much Chocolate, which could be a bummer for some people, but overall the taste was really good and you could really taste the caramel. My new go to protein bar !